The University of Richmond will be a leader in innovative practices that sustain our environmental, human, and financial resources. The future health and vibrancy of the University — like all institutions of higher education — rest on our shared commitment to steward our vital resources: the environment on which we all depend, funds for our needs and aspirations, and the faculty, staff, student, and alumni relationships that form the core of our educational model. Responsible stewardship will enable us to better support our academic aspirations and will enrich our intellectual community. In response to emerging environmental and financial challenges, we will imagine and implement new approaches to our work that support the sustainability of our mission and serve as a model for other institutions. Complete and implement a Sustainability Strategic Plan to further weave responsible environmental stewardship into the fabric of the University. Become an innovator in developing programs that address the challenges of the current higher education financial model to ensure our commitment to educating academically talented students today and in future generations. Work aggressively to achieve the University’s goals while moving away from an additive model that places stress on the human, environmental, and financial resources of the University. To ensure the future health and vibrancy of the University, we must carefully steward our vital resources — the environment on which we all depend, funds for our needs and aspirations, and the faculty, staff, student, and alumni relationships that form the core of our educational model. We have made a commitment to match 100% of our electricity needs — enough to keep the lights on in 2,400 homes — with energy generated by renewable sources, which would result in reducing the University’s greenhouse gas emissions to a level less than half of what they were just a decade ago. The University’s first Sustainability Strategic Plan, which is nearly finalized, will guide our efforts to integrate sustainability more fully into our students’ educational experience; foster and support behaviors that promote sustainability; and make campus services and operations more sustainable. We have begun work to develop an Eco-Corridor and to restore Little Westham Creek on the campus boundary along the Gambles Mill Trail. Construction is scheduled to commence in spring 2019 and will result in realignment and paving of the trail and the creation of a meadow walk. Our internal process improvement initiative, UR Better, has already yielded results in stewarding our most precious resources — the time and talent of our faculty and staff. We are beginning to implement new technology to simplify and improve the travel and expense reporting process on campus. We are also working to streamline and make electronic the system for declaring a major or minor. Faculty and staff continue to submit suggestions of other ways we can improve administrative processes. We have continued to make significant investments in our physical plant to ensure our facilities provide the best possible environment and support for learning and student life. With respect to academic facilities, in summer 2019 we will complete a four-year $37M renovation to the University’s Arts Facilities located in North Court, Booker Hall, and the Visual Arts Building. We have also renovated and made accessible Richmond Hall and have made significant new investments in the Gottwald Science Center to support new faculty. We have also continued to update our residential facilities, and to ensure our Athletics facilities support both the competitiveness of our DI programs and the academic success of our student-athletes. The University of Richmond plans to purchase renewable energy from a large Virginia solar installation. The move makes UR the first institution of higher education in the southeast to match 100 percent of its electricity needs with solar energy. Jennifer Sevin, a visiting lecturer in biology, and her students are teaming up with Kirstin Berben, biology laboratories manager and one of UR’s beekeepers, to create a pollinator garden during National Pollinator Week. 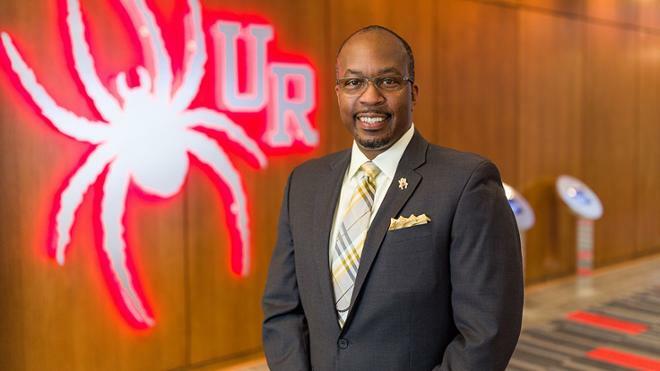 The University of Richmond will welcome a herd of kids this spring to its campus. The University of Richmond has received a $75,000 grant from the Jessie Ball duPont Fund to further improve energy conversation efforts. The University of Richmond has installed two honeybee hives on campus as a sustainable and educational response to bee populations’ global decline. 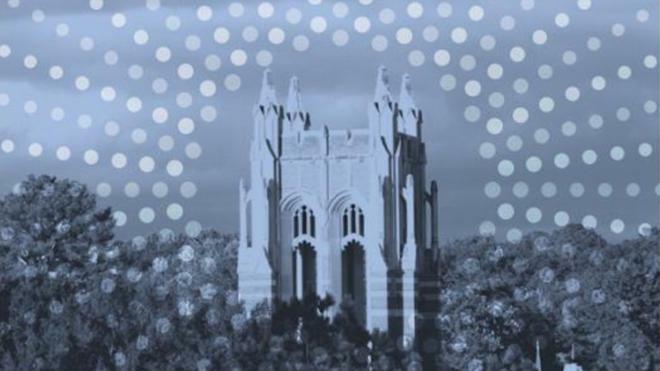 The University of Richmond is ranked as the #3 Best-Run College according to The Princeton Review.